Hoist the sails and set out to sea for an amazing adventure on Black Dragon Pirate Ship Cruise in South Padre Island, Texas. Guests are in for a treat with this authentic replica of a 17th century Galleon. 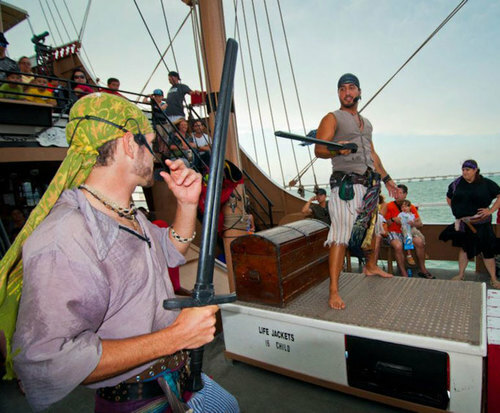 Experience what it was like to life the life of a pirate on this one of a kind attraction. On top, this ship looks like an old pirate ship, below the water line, she is home to the latest marine technology available. 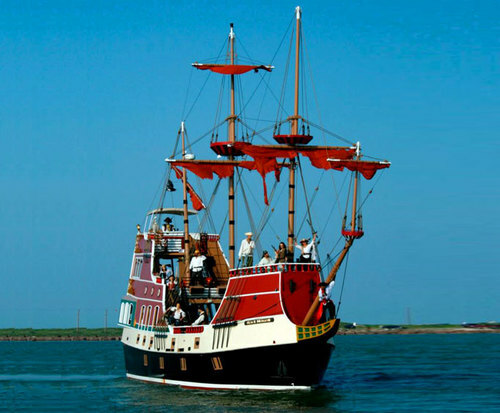 Like a true pirate, set sail across the Gulf of Mexico and Laguna Madra, finally making port in Port Isabel where legendary pirate Jean Lafitte himself took refuge. In his day, he made deals with the local ranchers of the area selling his contraband in return for their goods. Now, guests can sail the same waters and walk the same land that Lafitte walked in the adventurous days of the mighty pirates. Each cruise has a professional sailing staff portraying entertaining pirates including the telling of tall tales and legends. Children will enjoy face painting as well as a lively water pistol battle. Guests can hunt for hidden pirate treasure, witness treasure fighting, dance jigs to lively music and make amazing memories. The ship offers guests a snack bar where they can purchase drinks, wine, beer, snacks and the Black Dragon's specialty, Black Dragon Grog. Guests of all ages will revel in the opportunity to live the life and adventure of a pirate. 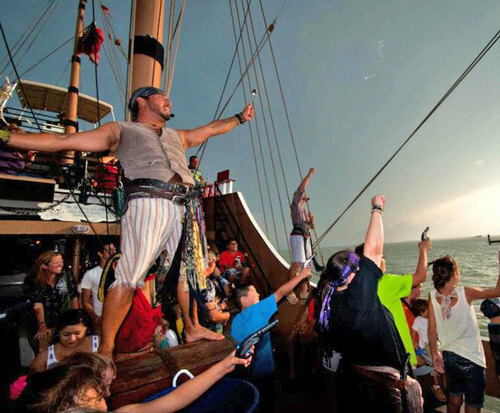 Head to South Padre Island, Texas and step aboard the Black Dragon Pirate Ship for a legendary adventure.